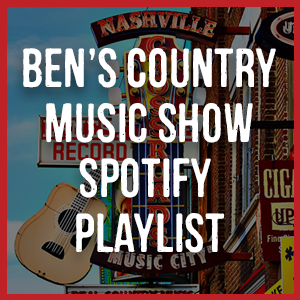 Every week in the first hour of the show, Ben brings you the feature ‘This Week in Country Music’. On this page you can discover important events from country music history for each day of the year. Be sure to check back regularly to update your country trivia! Blake Shelton leads his team in a cover of John Lennon's "Crippled Inside" during the NBC telecast of "The Voice." Troy Ramey, of Gwen Stefani's team, is eliminated at the end of the show following a performance of "Drift Away"
The Country Music Hall of Fame concludes its exhibit "Lee Greenwood: American Patriot," centered on the 30th anniversary of his song "God Bless The U.S.A."
Pop trio Hanson covers "Achy Breaky Heart" on ABC's "Dancing With The Stars"
Monument releases The Dixie Chicks' "Cold Day In July"
DreamWorks releases Darryl Worley's debut single, "When You Need My Love"
Elektra/Curb releases Hank Williams Jr.'s album "Family Tradition"
ABC releases John Conlee's "Rose Colored Glasses"
Stu Cook is born in Oakland, California. Cook plays bass in the rock band Creedence Clearwater Revival, and later plays with country's Southern Pacific, who mix smooth harmonies with brisk backbeats in "The Perfect Stranger" and "New Shade Of Blue"
Ray Whitley plays a cowboy in the comedy "Hollywood And Vine"
This ‘Today in Country Music’ feature is presented with thanks to Roland Note.